The Institute has its own Catering Centre. The Catering team provides three full meal services each day to all students and staff members who join the mess facilities. The meals are clean, fresh and at a moderate rate. Everyone can eat their fill. 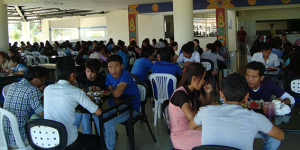 The Catering Centre is the hub of the Institute where you can eat, socialize, and access wifi.